View cart “Black Satin Fabric Covered Buttons 3/4″ Lot of 12” has been added to your cart. Genuine Swarovski buttons 1/2″ in diameter and are packaged 3 to a card. Choose from square crystal, round AB crystal or round silver/grey. 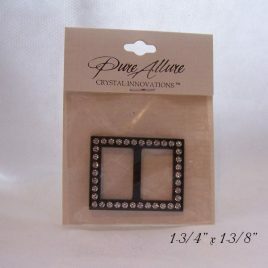 Genuine Swarovski crystal buttons 1/2″ in diameter and are packaged 3 to a card and all faceted to sparkle in the light. The square buttons are clear crystal. The round buttons are AB crystal or silver grey.